Yet another of New Orleans haunted hotels, the Maison de Ville is home to ghostly soldiers and many different types of paranormal activity. Bring your camera! 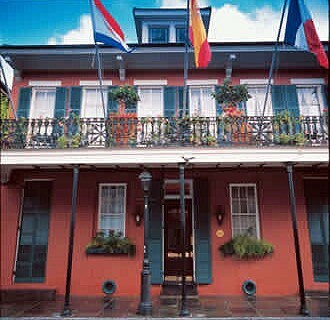 The Maison de Ville Hotel may be one of the oldest structures in New Orleans. Though the guest rooms today are quite decadent, they were once the slave quarters. Cottage #4 is especially renowed for it’s ghostly inhabitants. A man dressed in military garb is said to cause the paranormal activity there. Bring a radio with you to the Maison de Ville Hotel and tune it to any station and see what happens. One particular ghost on the property is said to turn all radios to a country station. His presence is strong and according to rumors, a séance conducted in the building was able to get this ghost to materialize. He has also been captured in photographs. Paranormal investigators have recorded EVP’s of a voice saying, “I need to leave”. Photographic anomalies have been reported at this location. Mysterious footprints, bed sheets that are removed from the bed in the middle of the night, and the eerie feeling of being watched has been reported at the Maison de Ville Hotel in New Orleans.